leslieanne wrote it: Are You Taking Good Care of You? Are You Taking Good Care of You? 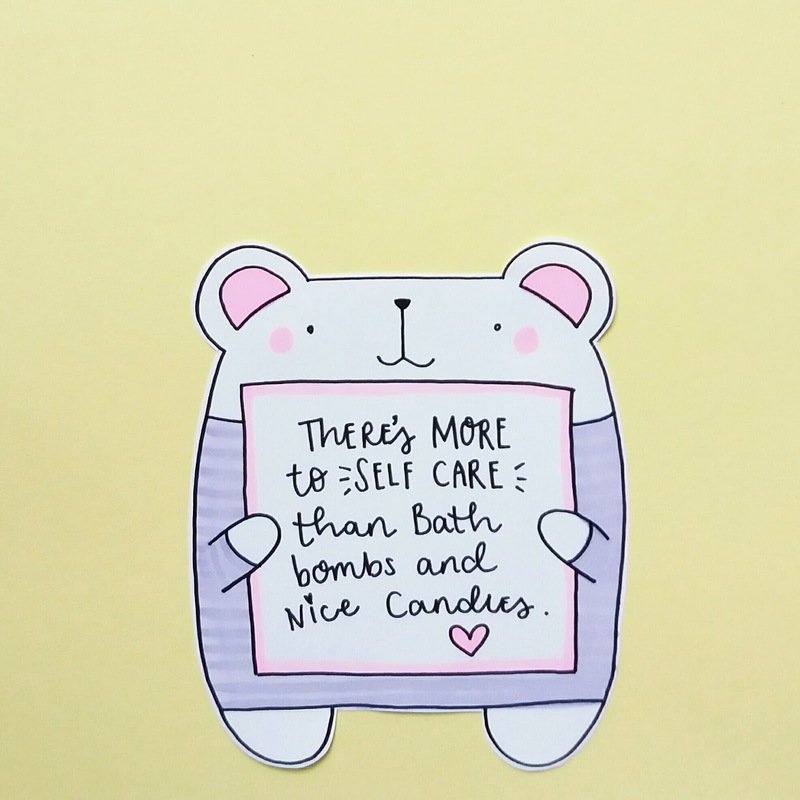 For me, self care means being kind to yourself in a million tiny different ways. It's also about taking good care of your mental health - something I think is essential for everyone, whether you suffer/identify with any particular mental illness(es) or not. You don't need to have anxiety to feel the benefits of a walk in the fresh air, or be depressed to know that taking time out to put your thoughts in order is a good idea. 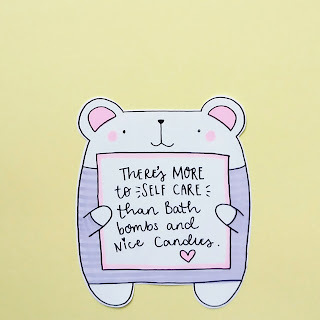 The world we live in these days is SO full and busy and non stop, I think self care is more important than ever; but I think it's equally important to realise that it's not just about 'treats' when you're feeling a bit run down or gloomy, it should be a part of your daily routine to help avoid feeling that way in the first place! - And another couple to sort out clothes for the next day (And make sure the short one's got school uniform ready & the tall one's got a shirt ironed) - I am not a natural morning person, so any jobs I can do in advance, are massively helpful! I've already thrown this question open to my happy gang, who have some brilliant things going on (many of which I shall be trying!) - but I'd love to hear from more of you & maybe do a follow up post with a list of ideas that might be helpful to others too? Leave a comment after the beep (beep) or email me, I'd be delighted to hear from you!